I always thought it was kind of ridiculous that the male humans in the Mario and Sonic games had to be swimming in their casual wear, including their shoes. And sure this game will have a story, but I hope it won't end up being bland. even if it's like the Sluggers game that's just miles better than many things Nintendo has pulled out lately in regards of spin offs and the Mario Tennis series specificaly. I don't think you necessarily have to remove shoes. Just replace them with water shoes or other foot-specific swimwear, even flippers (but I like the idea of water shoes). Wow a new Mario Tennis game. So they decided not to make Ultra Smash Second Edition/Deluxe. I really really hope Aces will be just as good as Power Tennis and surpass it and not be another Ultra Smash which failed to surpass Power Tennis. Ultra Smash was a huge letdown and was a rushed mess due to Nintendo's decision of shipping it unfinished with not enough polish. Ultra Smash will be truly forgotten for being a rushed unfinished game and the worst Mario Tennis game due to Nintendo not deciding to fix it by releasing a heavy steam of updates and DLC which really did the most damage. It will be always be known as the Mario game that defied Shigeru Miyamoto (the creator of the entire Mario franchise)'s statement of "a delayed game is eventually good, but a rushed game is forever bad" and that's exactly what it was. 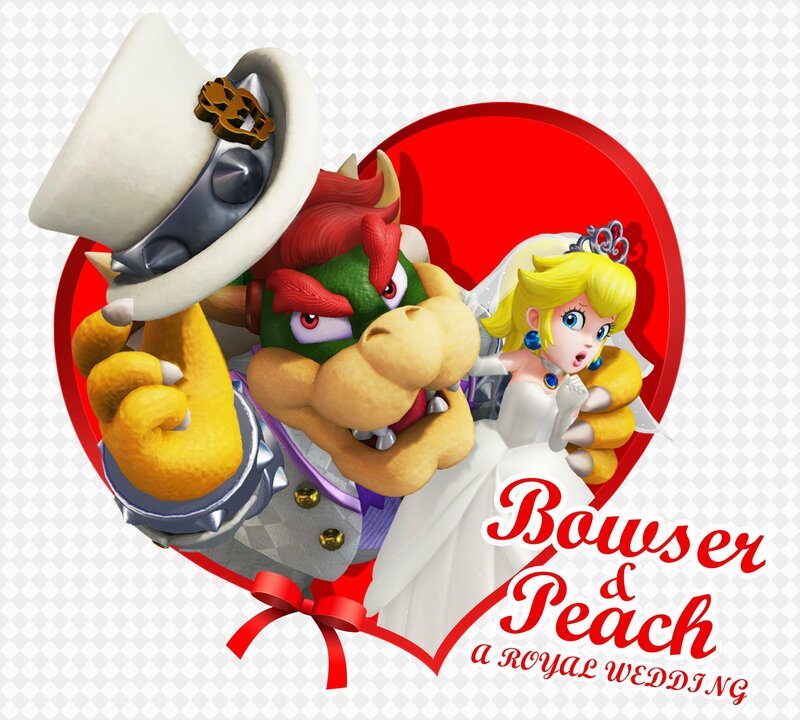 It failed both ways as a Mario game and a Mario Tennis game. It's still a decent game on its own but not as a Mario Tennis game. 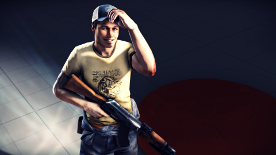 I hope this game delivers given this game's development cycle seems short. See, Sports Superstars was released just last year in Spring. It's developed by Camelot (and Namco). Assuming Camelot isn't already working on this game during Sports Superstars development, that'll mean this game got around only one year of development. Perhaps Ultra Smash gave it a boost, though, so if it's like Ultra Smash, but with more stuff, would make a little more sense for the short development time. Either way, that spring release a year after Mario Sports Superstars, I hope, isn't ultimately a bad thing. Ok we get it, you don't like Ultra Smash. 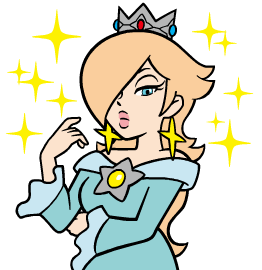 i would like to see the background NPC wearing Rosalina's Crown as i play, that would be a great touch. I don't think Camelot really did much work on Superstars. 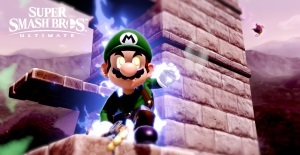 Besides adding Baby Mario and Baby Luigi to the game everything is pretty much like a small update. Namco put the game together. I noticed that too. From what I've seen, the physics seems to be the same of Ultra Smash, Swifite Luma already spotted the aniamtions and various assets reused from that game, I don't know much about the rest as from what I've seen the demo was of Classic Tennis Simple. My guess is that they'll reuse as much as possible from Ultra Smash, while adding new things. 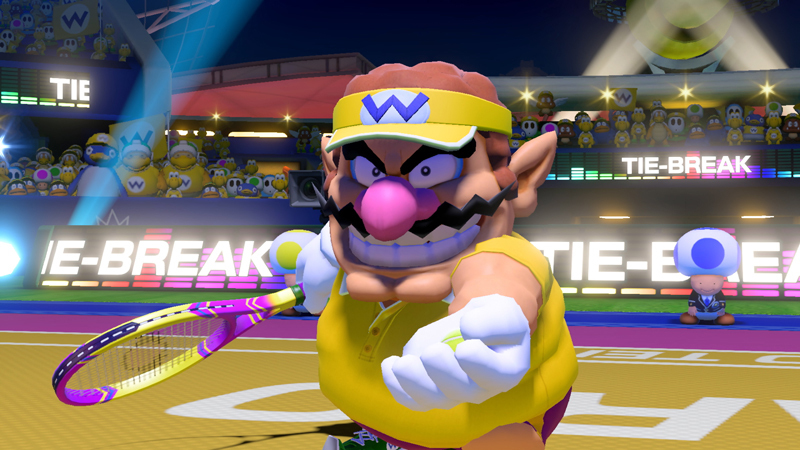 We already saw the tennis wear and story mode, the addition of those gauges and the possibility of breaking rackets means that even in the gameplay segment something was added. In terms of roster, I wonder if beside Ultra Smash they'll add the characters from Mario Sports Superstars, reusing some animations from that game (or if this really happens, should we say that MSS had the animations already prepared for Mario Tennis Aces readapted for the 3DS?). Anyway, much depends on how smart they are in reusing existing assets while adding new things. I think 1 year is just too little to develop a game from the ground-up, just think about what happened with Mario Kart 8 which turned out to be heavily based on Mario Kart 7 and yet after 3 years of development it had a delay and ultimately needed quite a bit of post release development to have an "almost fixed" roster (according to Mario Kart Wii standards) and a proper Battle Mode. God I hope that would happen. Well it wouldn't really surprise me if we get MSS characters, specially when Rosalina uses her Ultra Smash animations in Sports Super Stars so they can be used again back and forth for every character. Do you see Wario's body shape? Sleeping on the job. Typical. So what exactly are these meters? Probably it’s the meter to use Power Shots. That means we would be getting and ! Yaaaaaaaaaayyy, Pink Gold Peach!! !